Historian of the medieval Mediterranean. Interested in travel, manuscripts, and political philosophy. Il-Kantilena by the Maltese poet and philosopher Pietru Caxaro (d. 1485) is the oldest known literary text in the Maltese language, and dates to the late 15th century. Since its discovery in the 1960s, much has been much written about this text and the implications for the historical understanding of medieval Malta. Unlike modern Maltese, which has a large number of loan words from Italian and English, Il-Kantilena is notable for its extensive Arabic vocabulary, demonstrating its relationship and proximity to the Sicilian Arabic spoken in Sicily during the 11th-13th century. The earliest comprehensive study of the poem is G. Wettinger and M. Fsadni. Peter Caxaro’s Cantilena (1968). 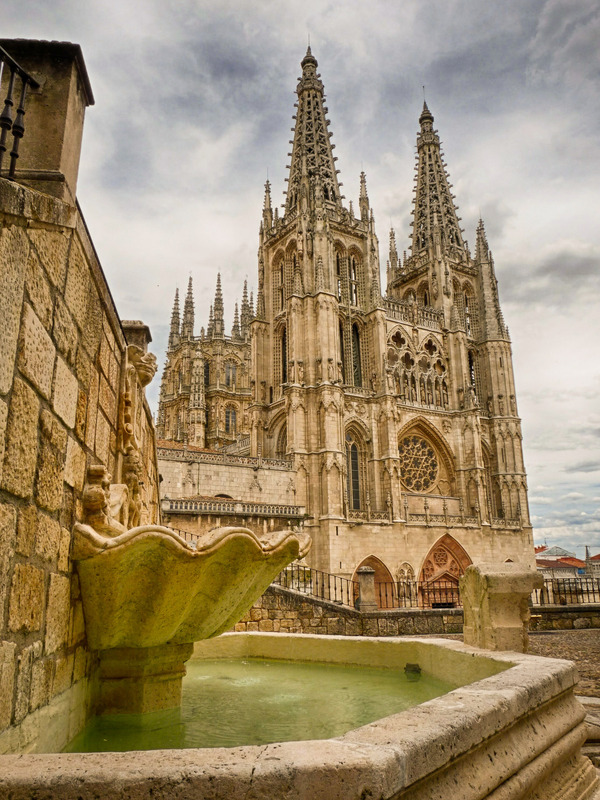 While exploring the beautiful town of Burgos in northern Spain, the traveler will be struck by the many medieval sites, including the monumental Cathedral and the ruins of the fortress. In addition to the remnants of actual structure from the medieval periods, many plaques, street names, pamphlets, and books that one encounters throughout Burgos celebrates the medieval history of the town, with particular attention to the deeds of its past kings, nobles, and prominent citizens. “Caravans of Gold” creates new points of reference by not only reveling in the beauty of the objects but also introducing viewers to the idea of a vibrantly interconnected global culture, including the sophisticated social, political, cultural, and economic systems of West Africa. So much of Africa’s relationship to Europe has involved defamation, appropriation, and control. Narratives highlighting the agency of West African people in the medieval period allow for a rediscovery of the continent’s rich history, cultures, and contributions to the evolution of global trade and culture. “Caravans of Gold” is an important gesture in helping people understand that Africa has always been connected to the world and can share its story on its own terms. doesn’t aim for less than decentering the idea that the medieval epoch should only be envisioned through a European lens, which are typically stories of feudalism, war, chivalry, and the Bubonic plague. These European sagas are the ones I grew up with, saw dramatized on television, and valorized in film. Caravans of Gold also seeks to put Islam at this reconstructed world’s fulcrum and regard it as a force which impelled cultural advance, rather than to associate it with iconoclastic destruction of historical patrimony — stories we know too well. Even more, it subtly raises up the entire African continent, which becomes through this retelling, a force of profound socioeconomic change at the global level. The past week (March 23rd to be exact) marked the 650th anniversary of the assassination of Pedro I of Castile-León (r. 1350-1369), one of medieval Iberia’s most controversial, enigmatic and interesting sovereigns. For some, he represents a vicious tyrant whose repressive policies were catastrophic for Castile. Meanwhile, others have memorialized him as a sovereign who promoted a culture of toleration, employed Jews and Muslims in significant numbers within his administration, and sought to curb the power of the nobility. Far from attempting to grapple with or unpack his complex legacy, this post introduces the English-speaking reader to this complicated sovereign in order to encourage further inquiry into his life and times. For the article in Spanish explaining the object and its digitization as a 3D model, see Margot Gil-Melitón & José Luis Lerma, “Digitalización 3D de la espada nazarí atribuida a Ali Atar” https://polipapers.upv.es/index.php/var/article/view/10028 (an English overview/summary can be read here. For some clarifications about the factual details mentioned in the article, see Dr. Josef Ženka’s Twitter thread here. It’s wonderful to see the history and culture of such an important region of the medieval world finally receiving more public attention. For those unable to attend, the exhibition’s catalog, Caravans of Gold, Fragments in Time: Art, Culture, and Exchange across Medieval Saharan Africa (ed, Kathleen Bickford Berzock) can be purchased here. I’ll be heading back to Madrid for a few days. Greatly honored to be participating in what looks like an excellent set of conversations with leading scholars about questions of lineage, race, and religion in the late medieval and early modern Iberian worlds. Full program available here: http://www.proyectos.cchs.csic.es/corpi/es/activities/blood-and-milk-race-and-religion-late-medieval-and-early-modern-iberian-worlds . The reign of Roger II (r. 1130-1154), who had began his rule as Count of Sicily in 1105, became Duke of Apulia and Calabria in 1127, and then King of Sicily in 1130, has long fascinated everyone interested in Mediterranean history. It marks a particularly significant period for the consolidation of Norman rule in both Sicily and southern Italy. Roger II instituted a strong royal administration, overcame various challenges to his authority (in the form of rebellions) and inaugurated an expansionist foreign policy that resulted in the incorporation of substantial territories in North Africa into his realm (discussed further here). In addition to overseeing the transformation of the Norman kingdom into a Mediterranean power that controlled Sicily, southern Italy and parts of modern-day Tunisia and Libya, Roger II’s reign is also distinguished by his patronage of a courtly culture colored as much by Arab-Islamic and Eastern Roman (“Byzantine”) influences as by Latin Christian culture. This is unsurprising, given the rich Islamic and Eastern Roman history of Sicily in the preceding centuries. Indeed, the island’s large population of Christians, Muslims and Jews was predominantly Greek and Arabic speaking during the early 12th century. This variety of cultural influences and convergence of diverse communities is indicated by the distinctive culture of the Norman kingdom, perhaps best embodied by the wonderful architecture patronized and constructed by Roger II and his successors during the 12th century. Here are some examples of the Arabic handwriting of the late 18th/early 19th-c. The Spanish scholar & Arabist Manuel Bacas Merino (d. after 1810) is most famous for his travels to Morocco during the late 18th century and his authorship of an Arabic grammar titled Compendio gramatical para aprender la lengua arábiga, así sabia como vulgar printed in Madrid in 1807. Less well-known, however, is that Bacas Merino also copied several medieval Andalusi manuscripts located in the Library of the Royal Monastery of El Escorial. An example of his activities as a copyist is this manuscript of al-Dabbī’s “Bughyat al-Multamis,” a 12th-c. biographical dictionary of Andalusi scholars. He copied it from El Escorial MS 1676 in 1806. It is now preserved in the Bibliothèque Nationale de France in Paris, digitized here. He also transcribed a copy of Ibn al-Abbār’s al-Ḥulla al-Siyarā’, a 13th-c. biographical dictionary, from El Escorial MS 1649, also preserved in the BnF in Paris and digitized here. For an overview & study of his works (and the broader context of Spanish Arabism in which he operated), see the (Spanish) article: Francisco Mocosa García, “El estudio del árabe marroquí en España durante el siglo XIX. La obra de Manuel Bacas Merino” http://digibug.ugr.es/handle/10481/2616. The text is written in Maghribi script on parchment, with only seven lines to a page. The well-proportioned balancing of the text area with the wide margins gives the Qurʼan its monumental character. Colorful signs indicate the vocalization and golden circles mark the verses. The surah headings are written in golden Kufic, some of which are additionally set into decorated panels surrounded by strap-work or palmette frames. The medallions of the surah headings in the margins are executed with very delicate arabesque ornaments. Several elegant double-page illuminations open and close the manuscript. Experts rate this manuscript as among the most outstanding copies of the Qurʼan. The dominant feature of the original binding is a star pattern with gilded lines. Experts rate this manuscript as among the most outstanding copies of the Qurʼan in existence.